I cannot emphasize enough how grateful I am to God for leading me to this podcast and to the faithful, Biblical teaching of Dr. R.C. Sproul and his Ligonier staff. He was truly gifted at opening up the wisdom and sweetness of Scripture. When youâre feeling discouraged or defeated in your fight for faith and joy, I encourage you to take up this podcast, ask God to open it up to your heart, and renew your strength in Godâs greatness and goodness. Thanks so much to all who make this podcast possible! Students of Scripture and those who yearn to know God, look no further than this podcast. Simply the best teaching tools of theology out there. A rich and fully packed 30 minutes of pure teaching. It matters not if you are a brand new Christian, a mature believer or someone seeking the truth that does not yet know God, this is a must listen. 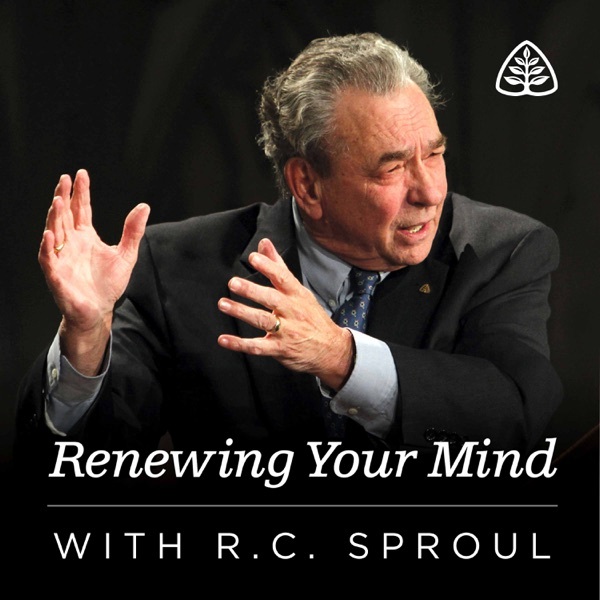 Thereâs only a handful of R.C Sproulâs teachings and then they switch to some kid that sounds like a 12 y/o stick with Dr. Sproul or make a different podcast. RC Sproul will be remembered as one of the greatest theologians and teachers of all time. So grateful I can hear him on a daily basis. This was an awesome broadcast. His insight brings a new level of understanding on this event on the sea. R. C. Sproulâs ministry is a treasure for anyone studying the scriptures and the Christian Reformation. What can one say other than that this podcast equips any follower of Jesus with essential knowledge on history, theology and all things important about faith in Jesus. I could listen to R. C. any day. Heâs so engaging, funny, intense and points out stuff Iâve never heard before. An absolute blessing to the church. So grateful for the faithful teaching. These podcasts are such a blessing to my family and I; we listen every single day!!! Deeply grateful for these podcasts. Please continue to send podcast out each day it's a blessing from God. Ligonier Was Is And Always Shall Be A Top 10 Best Anywhere Anytime Christian Teach Ministry !!! I was a Mormon for over 30 years born and raised. I spent my entire life believing I had the truth and when God lead me out of Mormonisim, I was so hungry to find out what was TRUTH. I came apon many ministries and some were good and helped me for a season, I felt I was lacking depth and substance with most of the Ministries I had came across. When I first listen to Ligionier Ministries teaching series Foundations An Overview Of Systematic Theology by Dr. R.C. Sproul I was intrigued and in awe of the way The gospel and many subjects that was presented so eloquently and clearly articulated. I was hooked and would listen for hours and hours and was being taught what true Christianity is for the first time. I would not be where I am in my Christian walk if it wasn't for this ministry. I can't fully express what this ministry means to me. Dr Sproles was truly blessed and through these podcast his teachings are preserved for you. I really love the messages that are presented here. Rest in peace, Dr. Sproul. R.C. Always points you to the Lord Jesus! Earlier this year the local radio station that ran "Renewing Your Mind" no longer carried it. This podcast has been a blessing. Not only can I listen to a teaching, but I can listen whenever I can, as many times as I want to. Plus, I can go through the archives and listen to past lessons. It would be great if the "From the Pulpit of St Andrew's" was carried here also. I LOVE it. Itâs how I start most days. Perfect for my morning walks. Iâve learned more from this series of talks than from any other Christian educational tool. Semper Reformanda Post Tenebras Lux !!! Ligonier is very very good. They fail on endorsing a young earth , & there are other items, otherwise ***extremely*** helpful. Great teachings and inspiring sermons from so many excellent theologians. Love listen to renewing your mind! It has helped me with understanding my faith and why I believe it! Thank you to all at ligonier for all you do! R.C.âs teaching is great spiritual food for the soul. Thank you for providing this in podcast form, as there are no radio broadcasts here in Harrisonburg Virginia. To God be the glory. I look forward to my commute each day when I can listen to 2 lessons. R C Sproul is an amazing theologian, philosopher and teacher. He has gathered around him other greatley gifted men. This app is a great resource for all Christians. I strongly recommend this podcast to all people. R.C. is iconic in the Reformed world, but his love of God and desire to spread biblical teaching of Salvation by Grace alone, through Faith alone, in Christ alone is a great blessing of our time. I cut my reformed teeth on Dr. Sproul's teaching. I'm so grateful for this man's faithful service to the Lord. I love this ministry and the work they do, and this podcast has helped in many ways to deal with theological confusions and teach the Bible with truth, compassion and authority. R.C. 's wit, humor, and exegesis of biblical texts and their theological interpretations. Bite-sized, but savory. I have been listening to RC for over a year now and I truly enjoy his lessons! I love RC's teachings and those he has as guests. I'm always learning and deepening my appreciation for the faith through this podcast. Why isn't this 5 stars!? I like to think as Mr. Sproul as an unofficial father of sorts. Through his teachings and the grace of God, I have and am continuing to grow tremendously. I am very thankful for him and his ministry, grace and peace all my brothers and sisters in faith. I have been listening to Dr. R.C. Sproul for many years. His radio program is no longer available in my area and I am happy to have found the podcast on iTunes. Dr. Sproul through his spoken word and books has greatly increased my understanding of my own Christian faith. Thank-you Dr. Sproul. This is a wonderful and informative Podcast. Best Teacher who ever lived! RC has had the biggest impact on me than any other teacher. He has a very clear and elegant manner to teach difficult concepts. He's the best teacher I've ever heard and arguably the best in this century! I listen to RC every single morning, and have loved learning from him. Heâs one of the best teachers of our day. Puts the bible into my head in a way that no other person can. I love learning from Ligonier and their other outreaches as well. Very helpful as a resource and source of encouragement. Misleading title. We are to renew our minds to what Jesus paid for not ignore it. Jesus paid for it all at Calvary. Thinking that we glorifiy God by our suffering is like slapping Jesus in the face saying what He did wasn't good enough. Very disappointing. Some of the other teachings were good. But this is a deal breaker. RC is very clear, and take you to the depth of the Gospel.